Definitions and concepts mentioned in User Guide are listed here for reference. The portal design, or skins, are known in Jetspeed as decorators. They can also be referred to as Themes. A portal based on Jetspeed can make applications, database information and other data sources available to end-users through a single web site. Jetspeed provides a security infrastructure so that the information and functions made available to each user can be customized on basis of the user or a role that the user has. The user can access the portal via a web browser, WAP-phone, pager or any other device supported by the servlet engine. Roles are the persona users can take on when interacting with the system. This allows the system to define behaviors by role, not by individual users. A tiled window in Jetspeed is a window that does not overlap any other windows. 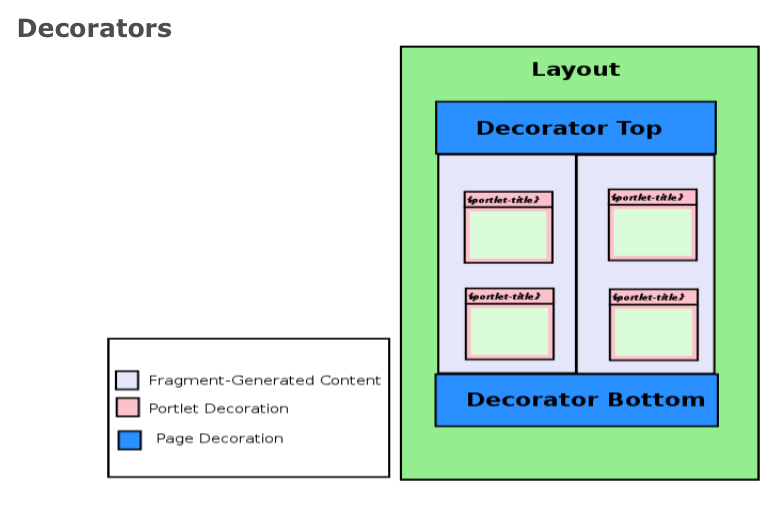 Window States indicate the amount of the portal page space that will be assigned to the generated content of a portlet. Normal - indicates the portlet may be sharing the rendering of the page. 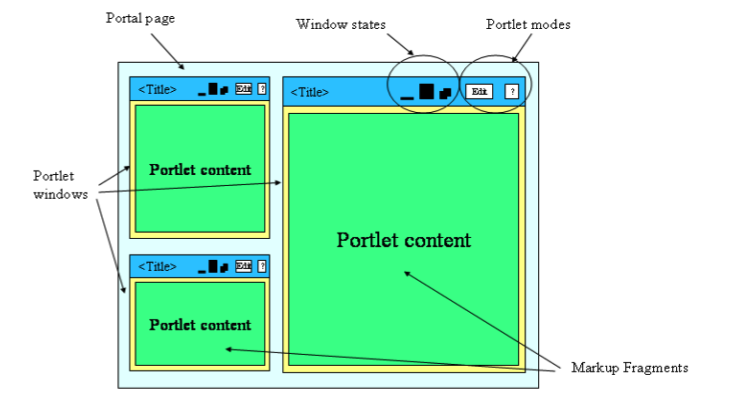 Minimized - the portlet should only render minimal or no output at all. Maximized - indicates the portlet that the portlet may be the only portlet being rendered. A portlet may generate richer content in this state.